Ferrari of Austin recently moved location to a brand new spot in South Austin and have kicked-off a meet at a nearby gun range. The last few outings have been cold and gray but you can’t keep the exotics away! 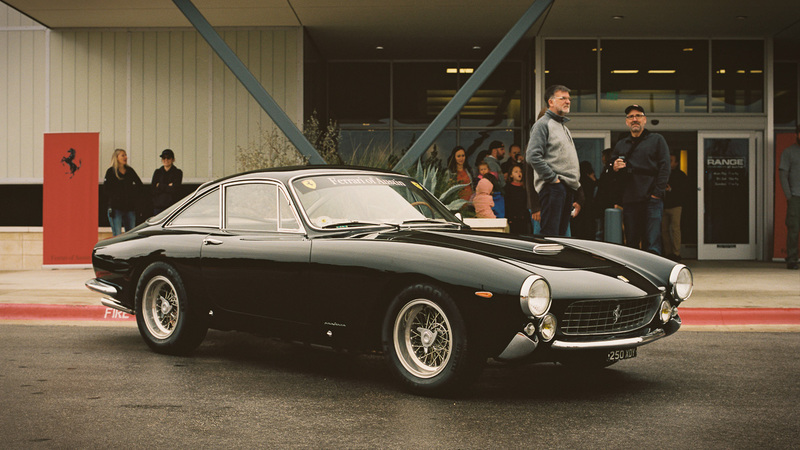 While they brought a fleet of modern Italian horses this 1963 250GT Lusso was my pick of the day. The deepest black finish, wood, leather and chrome: like being the person in a tux at a business casual event. Who cares, you’re The Gentleman of the party! I took my own classic out in the slop – this photo set was shot with a Hasselblad 500C/M on Kodak Portra 400 film. The Hassie with its leather-grain trim and chrome, gears and levers seemed like a fitting tool to shoot this icon from the 60’s! And just like a recalcitrant car that doesn’t like to be started in the cold, its lightmeter didn’t particularly behave as the temps hovered just above the freezing mark! Still the best way to spend a Saturday morning in my book. Enjoy!